There were some questions over the accuracy of the Galaxy S10+ renders, even the leakster that posted them warned that there’s an update coming. If you were hoping that the dual selfie camera in a pill-shaped hole in the screen was a mistake and is going away, we have some bad news – it’s not. @IceUniverse, a reliable source of unofficial Samsung info, posted Galaxy S10+ “protective film” – presumably a screen protector. It shows that the two camera modules stand some distance apart and there’s dead space between them. Add to that the unusable space above and to the right of the camera (even though there are screen pixels there), it looks like a pretty good chunk of the status bar will be unusable. Next up is a concept rendering of what the Samsung Galaxy S10+ might look like. 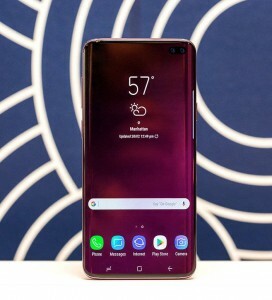 If it’s accurate, at least the top and bottom bezels will be slimmer than on the S9 generation. Quoting an insider who has seen the upcoming flagship, the S10+ will look "quite amazing". 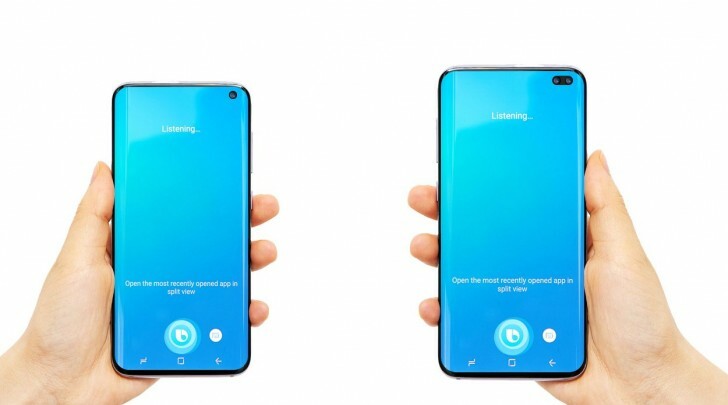 Here's another concept image of the Galaxy S10+, this time showing the Galaxy S10 besides it. The non-Plus model is shown with a single selfie camera (still in a hole), which is less obtrusive. 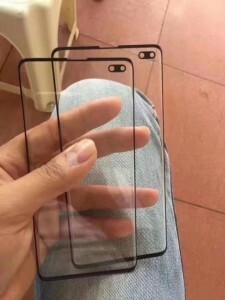 This info comes with a dire warning: “almost all” phones in 2019 will have a hole in their screen. Even if that’s an exaggeration, it sounds like this will be the new normal, especially among flagships.